Haycom will bring your event to life delivering stunning colours, contrast, brightness and resolution. 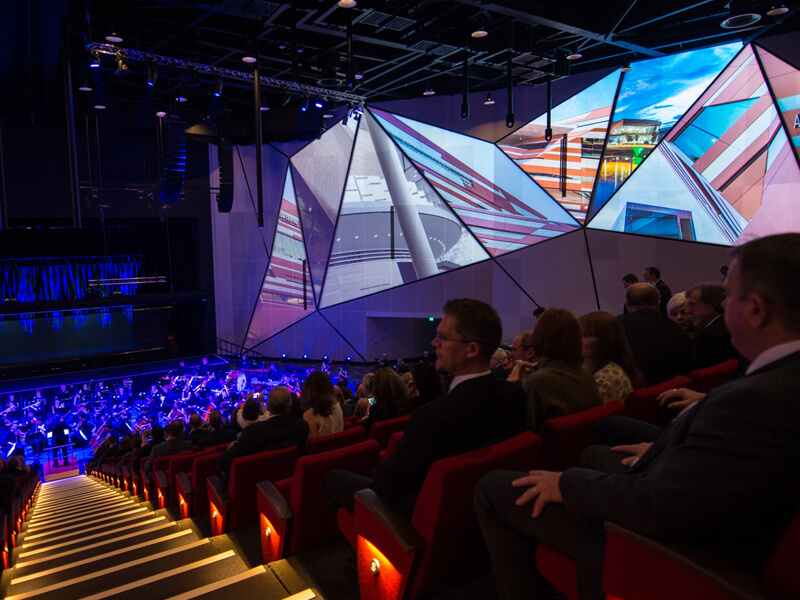 With a wide variety of screens sizes and projectors designed to suit any event, from digital displays for small business meetings to ultra-wide and multi-screen projection, as well as a range of indoor and outdoor LED. Haycom will push the boundaries of creativity when it comes to video, delivering stunning display options that will convey your message in the most impactful of ways, to ensure the event stays with your audience long after it finishes.